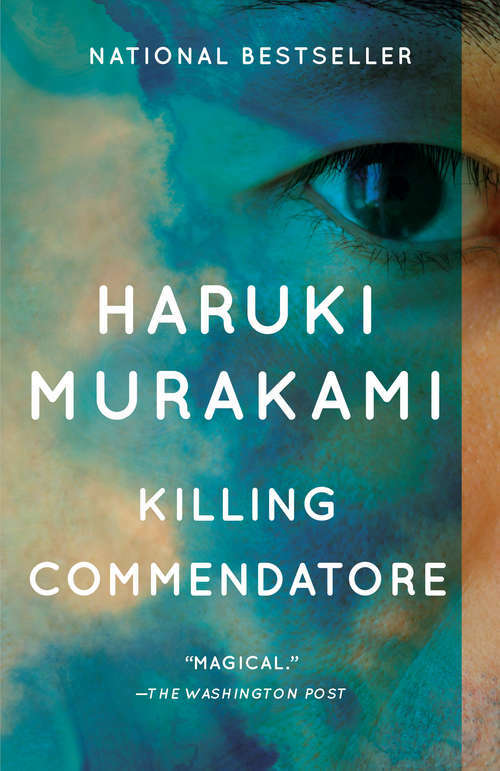 In Killing Commendatore, a thirty-something portrait painter in Tokyo is abandoned by his wife and finds himself holed up in the mountain home of a famous artist, Tomohiko Amada. When he discovers a previously unseen painting in the attic, he unintentionally opens a circle of mysterious circumstances. To close it, he must complete a journey that involves a mysterious ringing bell, a two-foot-high physical manifestation of an Idea, a dapper businessman who lives across the valley, a precocious thirteen-year-old girl, a Nazi assassination attempt during World War II in Vienna, a pit in the woods behind the artist’s home, and an underworld haunted by Double Metaphors.